“Help us to recognize the face of Jesus in our suffering brothers and sisters and to serve Him with humility and joy,” read the nursing class of 2019 prayer. 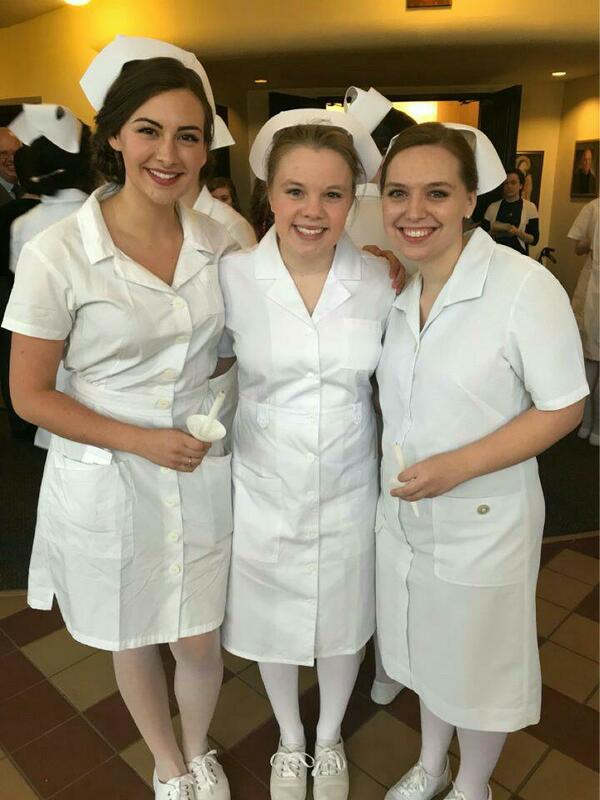 Keeping with its tradition of 38 years, the Nursing Department at Franciscan University continued to honor its junior nursing students with its annual candlelight ceremony on April 6. Carolyn Miller, chair of the Nursing Department, still recalls how the tradition was first brought into practice at Franciscan. Miller said that she and the Rev. Michael Scanlan, TOR, the former president of the university, brought the idea into fruition. “It’s a tradition in nursing,” Miller said of the ceremony. “Such rituals were generally held after completion of a certain amount of training or after a ‘probationary’ period was ended – at that time the students were ‘capped,’” she said in her opening remarks. Many nursing schools used to host such ceremonies, she explained, but they have since become less common. Nursing practices and styles have changed, often leaving these customs behind. Franciscan, however, retains this tradition “in order to recognize our commitment to the care of the sick and injured and to offer this whole business of nursing to the Lord,” said Miller. The ceremony is a “dedication to the healing ministry of nursing,” and its purpose is to “honor students for their achievement,” said Miller. Yet, its origins extend far earlier than its practice at Franciscan. The evening begins with the nursing students processing in one by one holding candles, an action inspired by Florence Nightingale, who would tend to her patients at night holding a kerosene lamp during the Crimean War. It also resembles St. Catherine of Siena, who held a lamp while caring for those affected by the plagues in Europe. 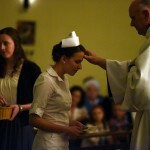 The students participating wear traditional white nursing uniforms and caps, garments that date back to medieval times and are inspired by a religious sister’s habit. It is “professional garb,” said Miller. They also wear special pins. The caps, which first represented a particular religious order, were redesigned overtime to represent individual nursing schools. Scanlan was the one to suggest the first design for the Franciscan cap. All of these historical features have been incorporated into the university’s observance. 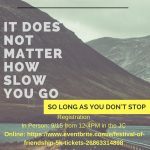 The event also hosts a speaker who works in the nursing profession. This year’s remarks were delivered by Denise Westwood, the vice president and chief nursing officer at Weirton Medical Center. The blessing that follows is the part of the ceremony that Miller said is her favorite. Each student is blessed individually by the president of the university. Miller also recalled ways that the ceremony at Franciscan has evolved over the past 38 years. She said that school uniforms used to be worn instead of the white nursing uniform. The original ceremony was hosted by just her and Scanlan, while it is now attended by the president and dean of the university, as well as the vice president of academic affairs. In recent years, senior nursing students have also been incorporated into the ceremony, helping with seating and presenting flowers to the junior students. Miller emphasized how personal the ceremony is to the students. The group gets to choose a class patron and prayer. Many students’ families come to campus to attend the dedication, traveling from states as far away as California and Alaska. Some students even have mothers or grandmothers who participated in similar ceremonies when they too were trained in nursing, and these students are able to wear family caps or pins. Miller pointed out that there has always been an incredibly positive response to the event from the students. “They love it,” she said.